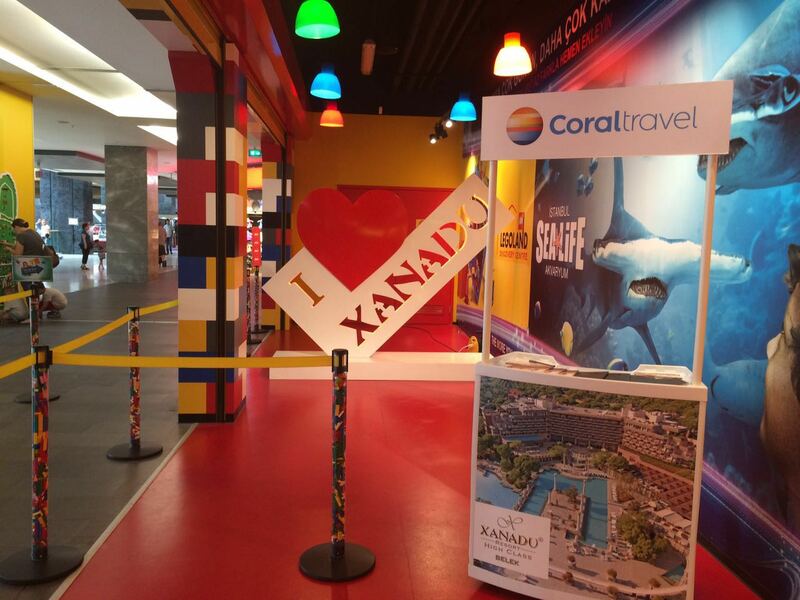 With the campaign it launched on June 25, 2016, Coral Travel Turkey enables the guests who book in one of Xanadu Resort, Otium Eco Club, Otium Hotel Seven Seas, Otium Hotel Life hotels together with their children win admission ticket for LEGOLAND DISCOVERY CENTER. Besides, the guests who buy admission ticket from LEGOLAND are given special discount that is equal to the ticket price. At the booth opened in Forum Istanbul, approximately 1000 guests have been given information on Otium Hotels & Xanadu Resort Belek and the general campaign.